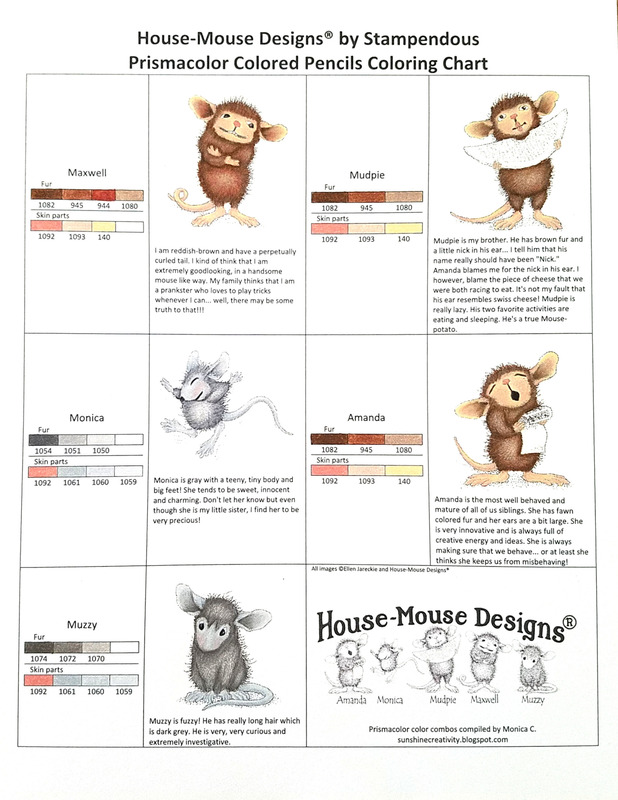 The terrific folks at House-Mouse Designs® have a coloring guide on their site using ProMarkers. 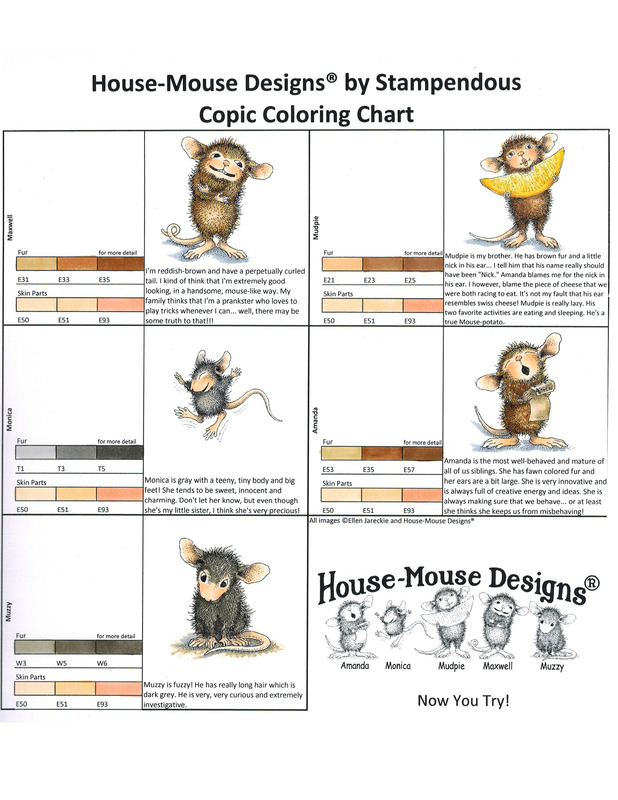 But we know lots of you use other brands, so we've had our favorite marker coloring pros color up some charts for you! 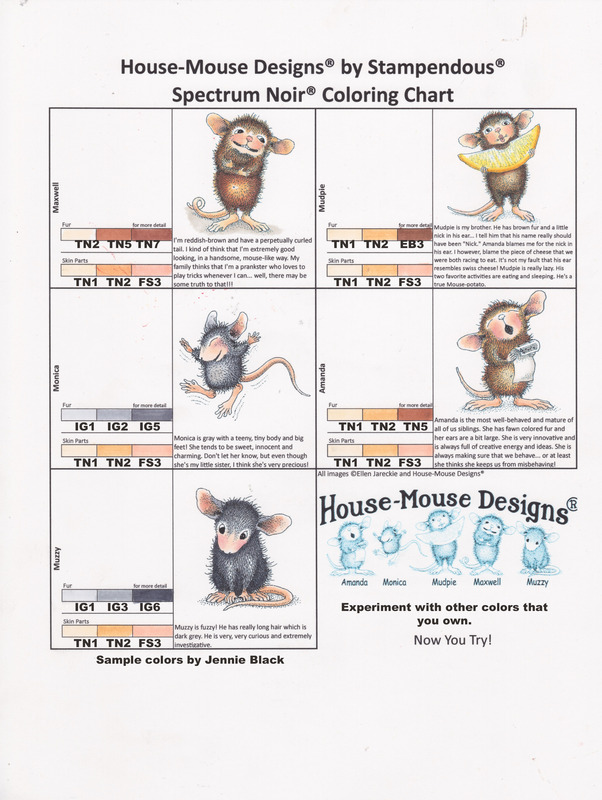 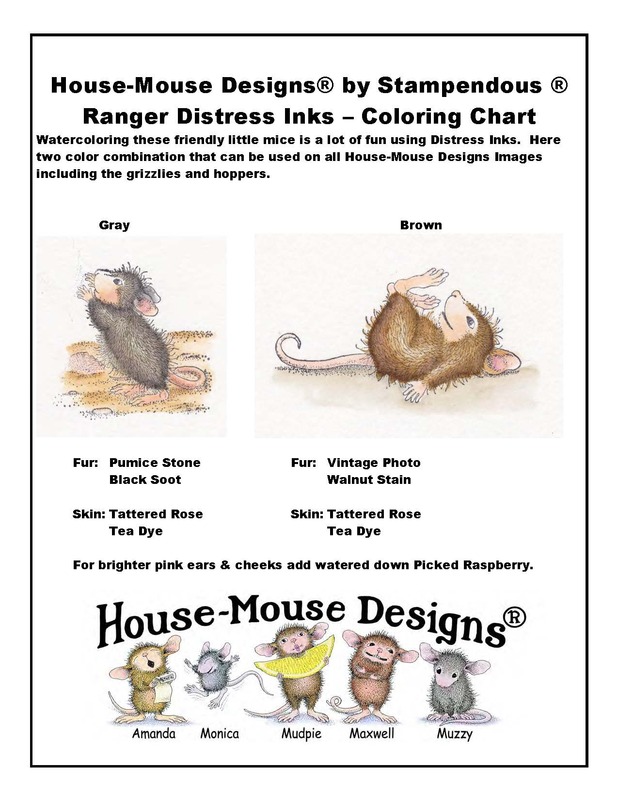 This should help you give your House-Mouse characters just the right coloring touches no matter which markers you use! 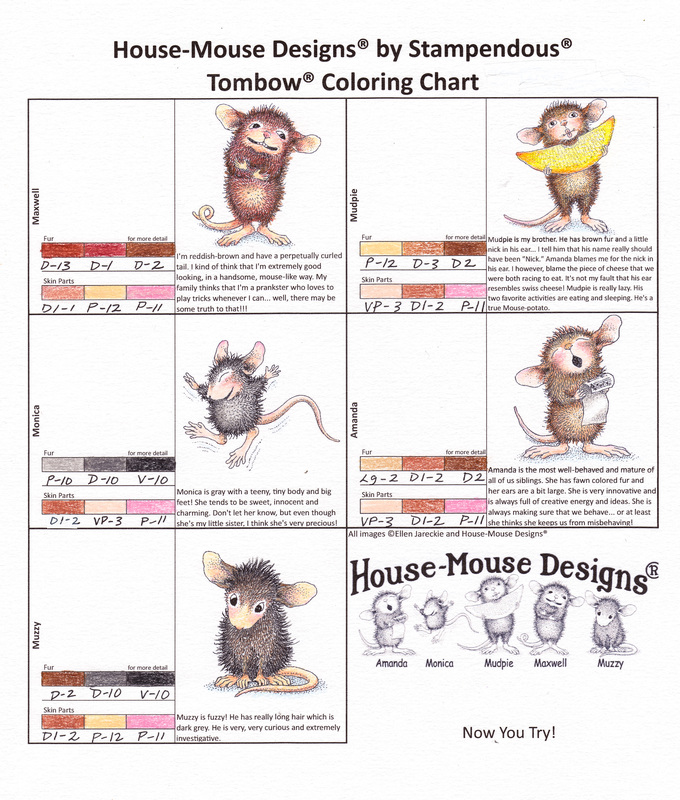 Click on each chart below to enlarge it, use your back arrow to return to this page. 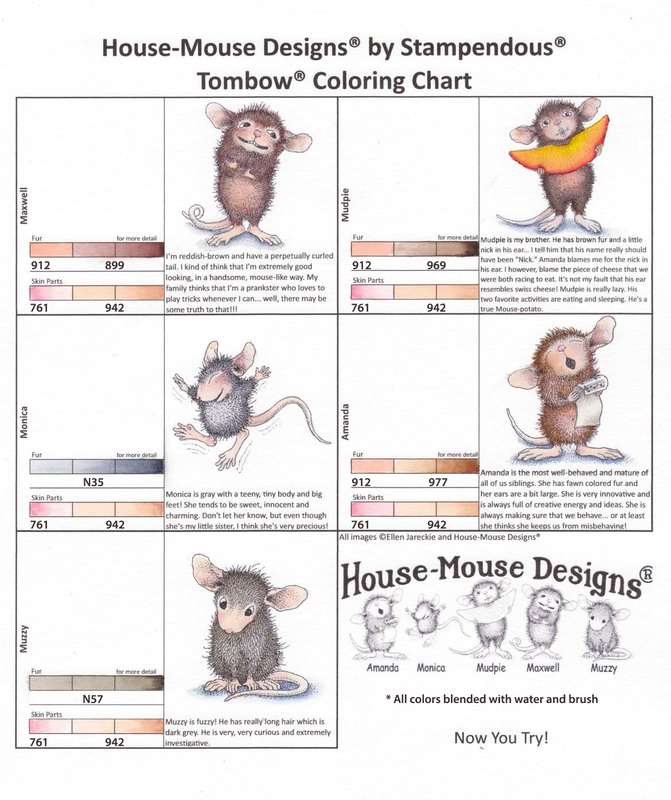 More to come as our artists finish!